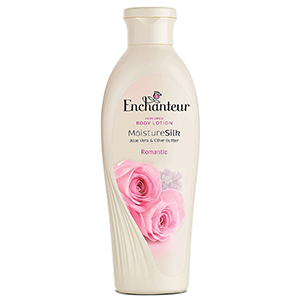 Enchanteur Romantic Perfume is a classic medley of the finest Bulgarian Roses, delicately arranged with White Jasmines, Violets and Vanilla. The fragrance is perfect for a woman who wishes to be swept off her feet, as it invokes that dreamy feel of being in love. Crafted using French perfume making techniques. 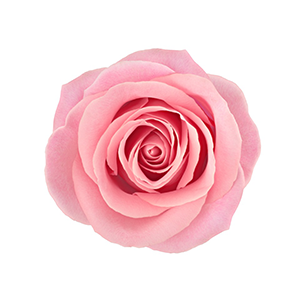 About the Brand: - Experience the joy of being romanced with flowers, flamboyance and oodles of Parisian charm. 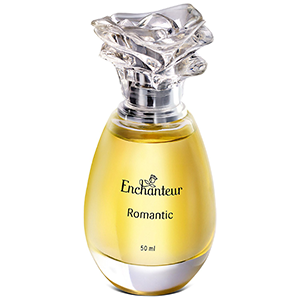 Enchanteur is a collection of French perfumes that perfects the art of romance through fine floral fragrances. A gentle spritz feels like a floral burst, designed to make a woman feel cherished, special and enveloped in that feeling of amour. The first impression a perfume creates, the top notes are ephemeral. Before fading away, they lure you in, and make way for the heart of the perfume (the middle notes). 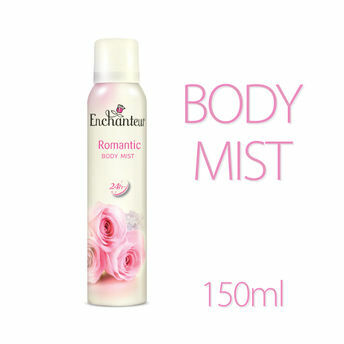 The Enchanteur Romantic Perfume has top notes of Mandarin flower and Violets. This is the heart of the perfume. 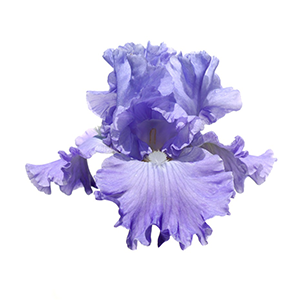 The middle notes last longer than the top notes, and they slowly transition to the base notes of the perfume. 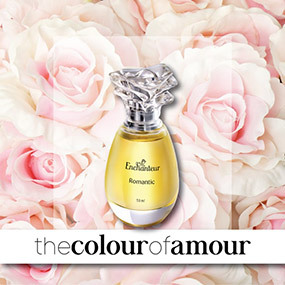 A sweet medley of Roses, White Jasmines, Muguet and Carnations is at the heart of Enchanteur Romantic. These notes stay the longest, mingling with the middle notes to create a delightful aroma. While the top notes provide the first impression, these provide a lasting impression. 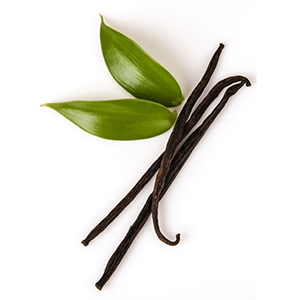 Vanilla, Sandalwood and Musk form the base notes of Enchanteur Romantic. 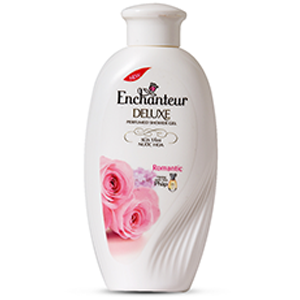 Enchanteur Romantic Perfume is a classic medley of the finest Bulgarian Roses, delicately arranged with White Jasmines, Violets and Vanilla. This delicate bouquet has been crafted using classic French perfume making techniques and infused with the French flair for romance. The fragrance is designed to invoke the dreamy feel of being in love. Enriched with silk proteins, this Shower Gel is designed to soften and deeply moisturize your skin. Use it with a loofah, and it will gently exfoliate your skin, leaving it radiant, lush and smooth. The floral fragrance is delicately feminine and leaves you with lasting freshness. This Body Lotion is enriched with the goodness of Aloe Vera, and the nourishing touch of Olive Butter, to make your skin smooth and radiant. The non-greasy formula makes it light and easy to apply. The soft, floral fragrance is delightfully feminine. Use it daily after your shower, and get huggable, soft skin, all day long. Address of Mfg / Importer / Brand: Sdn. Bhd. No.7, Persiaran Subang Permai, Taman Perindustrian Subang, 47601, Subang Jaya, Selangor, Malaysia.